This recipe is so simple and takes hardly any time at all. An easy go to dish that is nice when served with salad, quinoa, rice, or any veggies. If you need a quick and yummy salmon dinner/lunch, try this out. It would be nice served in a pita pocket with lettuce, tomato, etc as well. 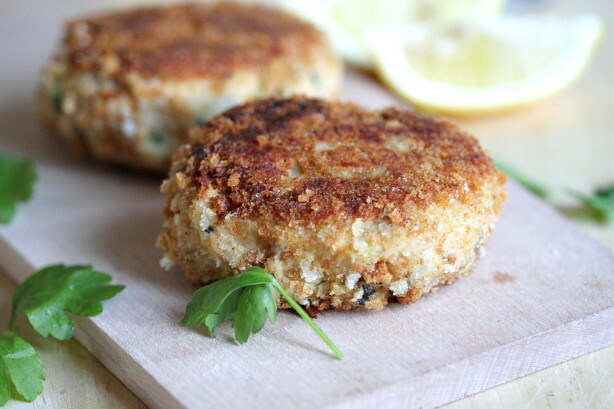 If you use plain bread crumbs, mix in a handful of fresh chopped parsley. Combine salmon, sauteed onion, breadcrumbs (parsley if you use plain breadcrumbs), eggs, salt, and pepper. Place cooked patties on a paper towl to absorb excess oil.